Whether you're capturing memories at a family event or you just need instant documentation of the next YouTube hit, the Flip camera is your new best friend. Cameras and hand held videos are ubiquitous these days – it's hard to go anywhere without ending up on video or in the background of someone else's cell phone photo. Super portable cameras have given us such hit videos as Epic Beard Man whooping on some kid, Don't Taze Me Bro, and countless others. Beyond just the occasional hilarious YouTube video, a portable video camera can be a great way of capturing the white water rafting portion of your vacation or taking some video of your presentation so you can fine tune it later. Gone is the time of the “camcorder” though. You won't need to throw any of these over your shoulder to use them or swap tapes in and out. Hell, you don't even have to have a camera bag anymore since you probably have pockets in your jeans. Small size and portability are great, but we've all seen enough shaky, gritty cell phone footage to realize that when it comes down to it, they're not the best option. Plus, you don't want to run down the battery on your phone, GPS, Facebook, Twitter, and Solitaire machine with a camera. 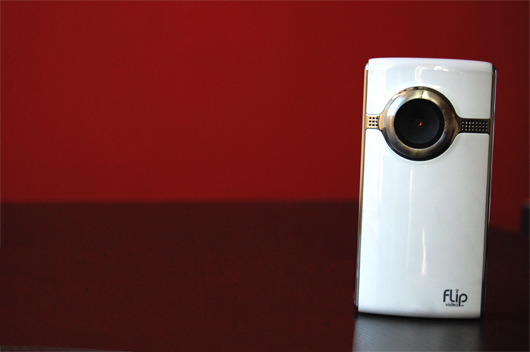 In the world of pocket video, Flip is the first name in providing super portable HD quality content. We got our hands on a Flip UltraHD camera, a pocket sized wonder with 8GB of memory and the ability to record 120 minutes of 720p HD video at 60 fps for use with either Mac or Windows based systems. Using the Flip couldn't be easier: just point and click the giant red button. To play back a video, just navigate with the silver buttons and then push play. To delete a video, just push the trash can button. Ready to take videos off of your camera? Flip out the built in USB connector and plug it into your computer. Done, done, done. The phone also includes an HDMI out to play back your videos on your HD television. Simplicity comes at a price – generally small ones though. This model retails for $199.99, a fair price, though the actual price I'm referring to is the simplistic nature of the camera which is a blessing and a curse. With a fixed focal point and no advanced controls, the camera is purely point and shoot, not point and adjust. This makes it perfect for those who are less savvy than others or for capturing those urgent, immediate, and fleeting moments. But you won't be using it to film the next low budget masterpiece, so if you're looking for some heavy duty equipment or picture controls look elsewhere. Perfect for what it is, the Flip is ultimately a very cool, lightweight toy that makes the perfect gift or pocket accessory to stop you from wearing down your cell phone battery and recording high definition video of special moments. And while it doesn't replace a serious camera for artistic purposes, it's portability and quality of image means that it's the perfect tool for capturing and sharing life. 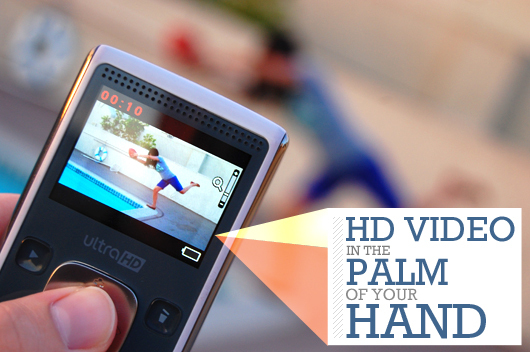 Want to be able to document life in HD? 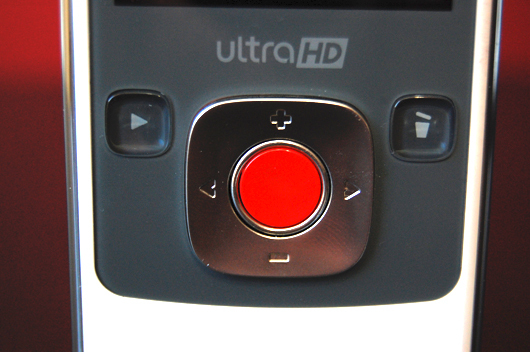 Check out the UltraHD on Amazon. The unit was provided for review. I’m a professional cinematographer, and I own 3 MinoFlip HD cameras. You’re right, they lack the manual controls for any real “pro” cinema-style stuff, but they definetly are awesome little devices. – I personally use them for quick video storyboarding or location scouting. I really like the wedding idea! Great tip. I agree, while having a lack of manual controls, the Flip definitely serves its use in other areas.